February 16th, 2019, EAGLES 11 – two championship belts and a sensational night!!! The Wolf against the Hunter. Who will survive and win? Who will not surrender? Whose backbone is stronger? Find out the 16th of February, in EAGLES’ 11 cage. February 16th – judgment day for Dmytro Predebaylo. He must protect his temporary belt in a clash against the bold Intizar Babaniyazov. Former champion Mihail Sirbu turns the page; more than ever, he’s hungry for victory. Aiming for a new record, Donna Cheli will encounter the Russian fighter, Anna Rudenko. 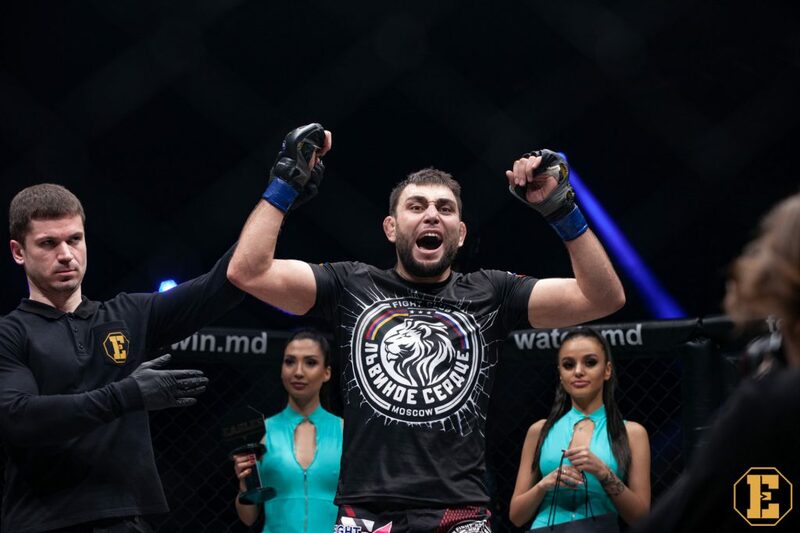 Ivan Andrushcenko and Evgenyi Manko Sibirski – entering the cage in a new category, under 57 kg.